We are actively engaged in manufacturing and supplying a qualitative range of Cage Trailers, which are widely utilized for moving bulky and voluminous materials from one place to another. 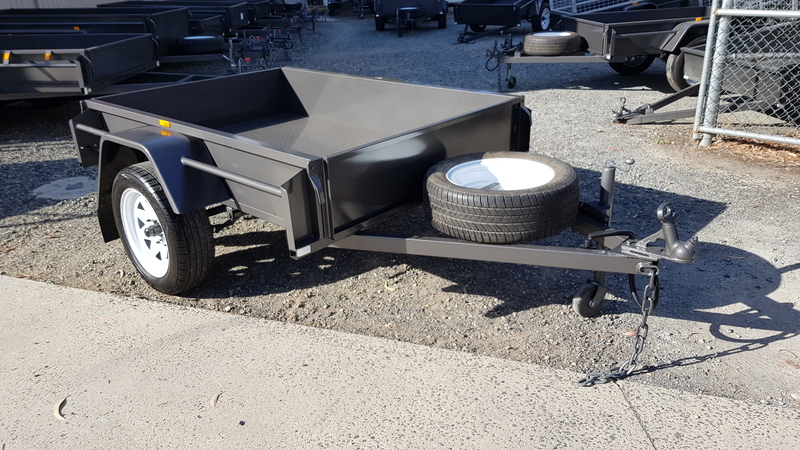 Our trailers are manufactured from the finest grade raw materials and latest technology in adherence to the Australian Design Regulations and quality standards. So, they are widely acclaimed for their sturdiness, easy operation and maintenance, heavy load bearing capacity and functional accuracy. Our cage trailers are available in variety of sizes as per the requirements of our clients in Melbourne. We offer our trailers with LED lights with Flat/Round Plugs to suit and they are available with 2 coats of paint & 1 coat of Zinc Primer. Our offered range of Cage Trailers for Sale is highly efficient and they are widely demanded by the customers located across Melbourne and surrounding suburbs. Apart from this, our esteemed clients are able to avail these trailers at the most affordable and industry leading prices.